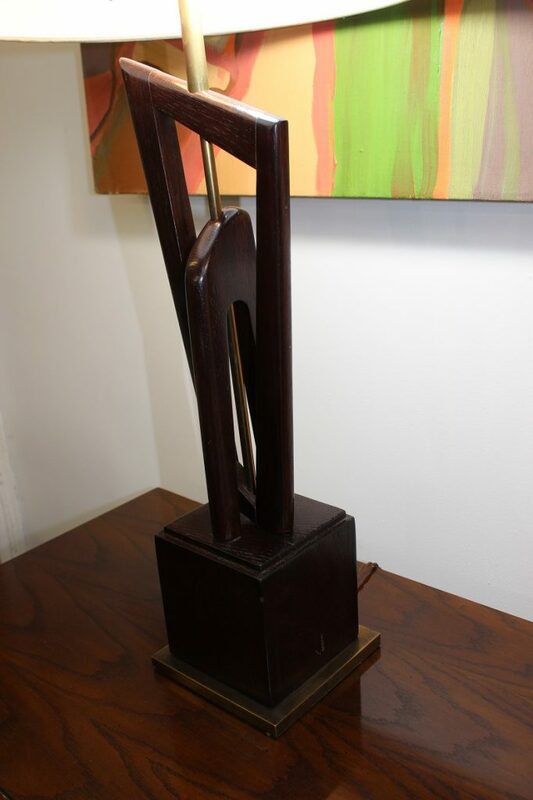 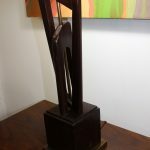 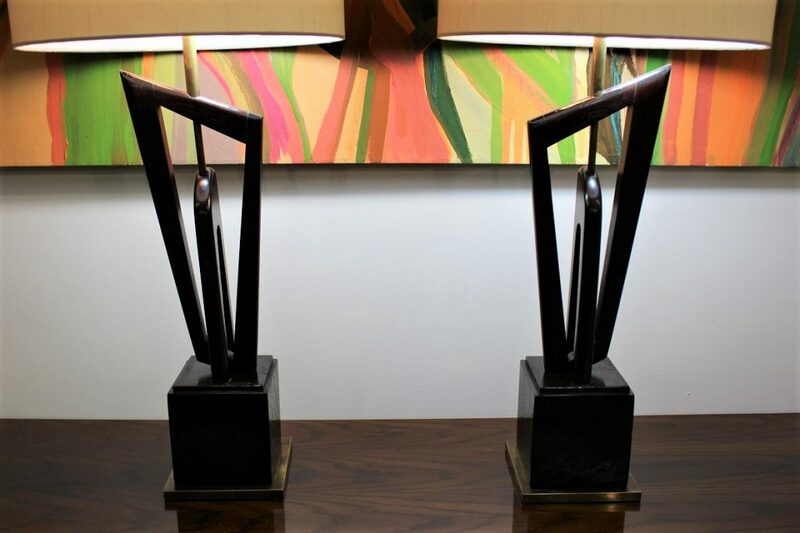 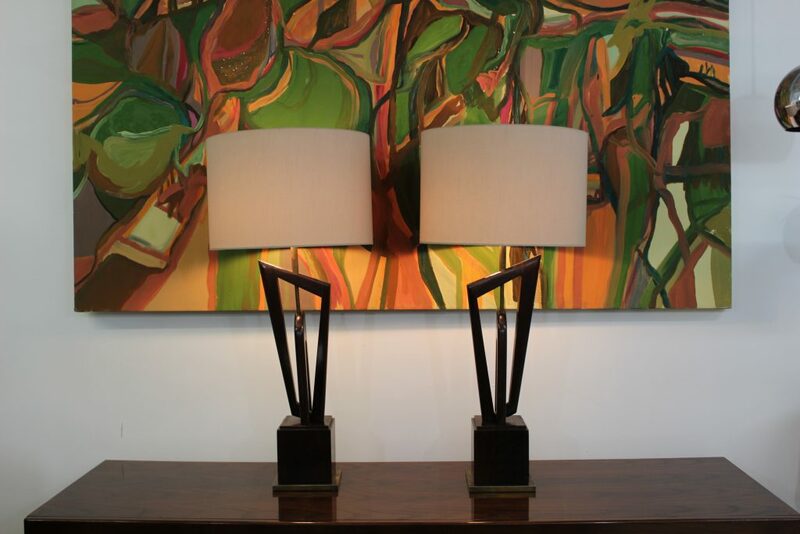 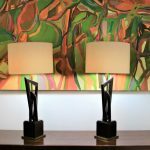 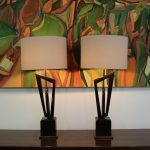 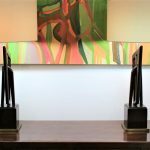 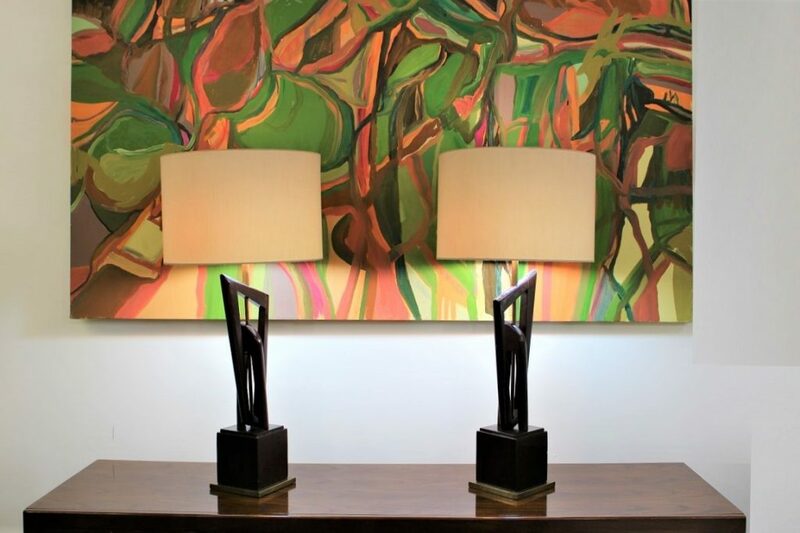 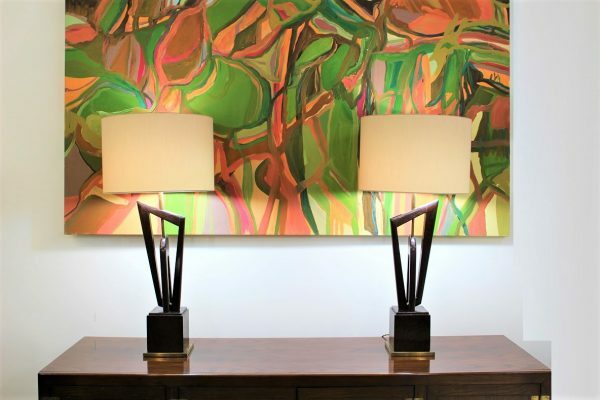 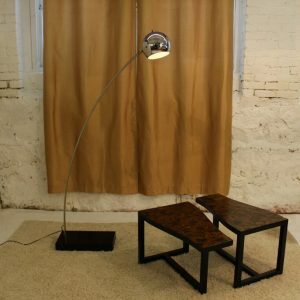 Take a look at these beautiful wood sculptural pair of lamps, coming to you in heavy hardwood with a dark wanut-kona finish, accented by brass hardware. 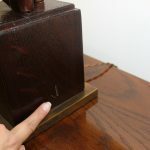 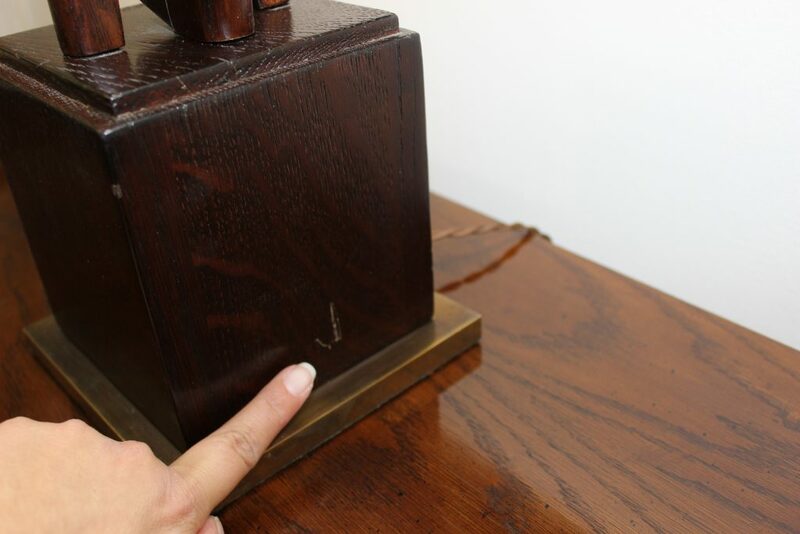 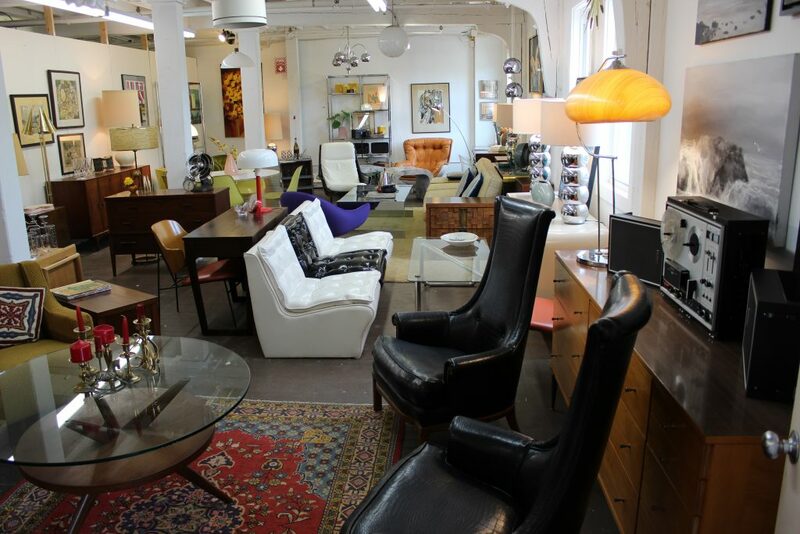 There are some minor nicks and scratches as it is expected for vintage items, but nothing structural. 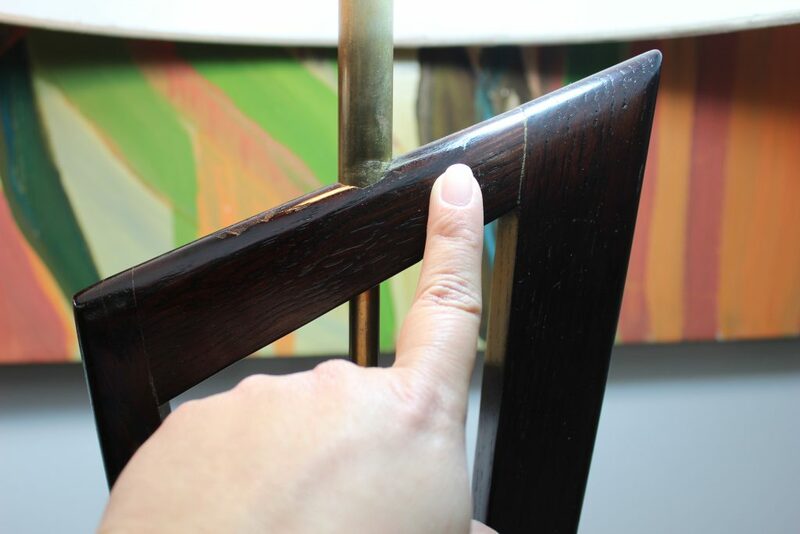 You can see the pictures of the minor flaws. 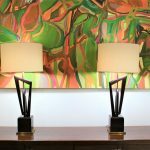 Each lamp has 2 sockets with individual chains for on and off, which means, you can turn on one or both depending on your needs at the time. 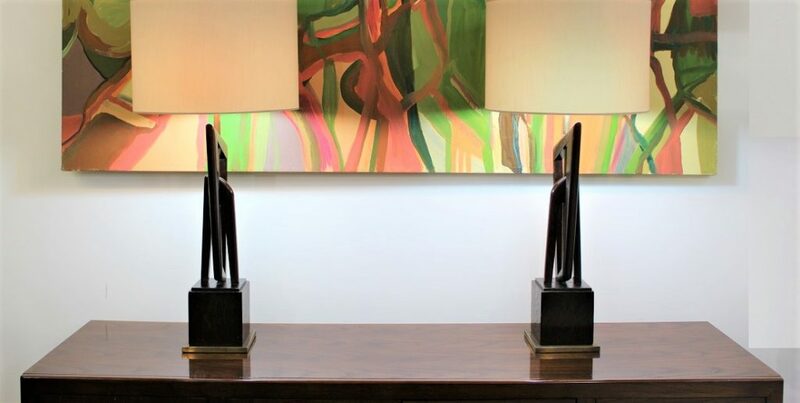 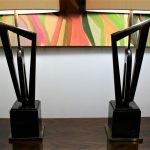 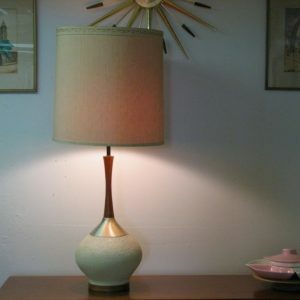 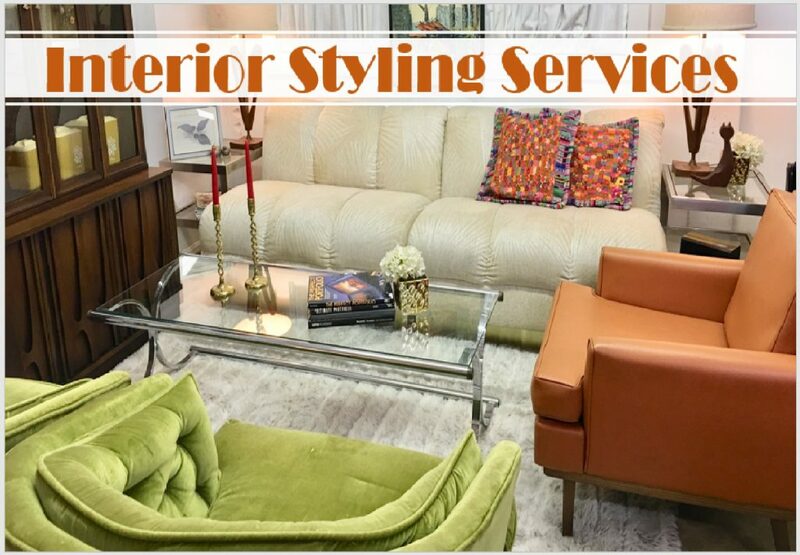 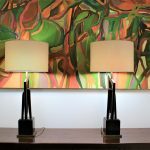 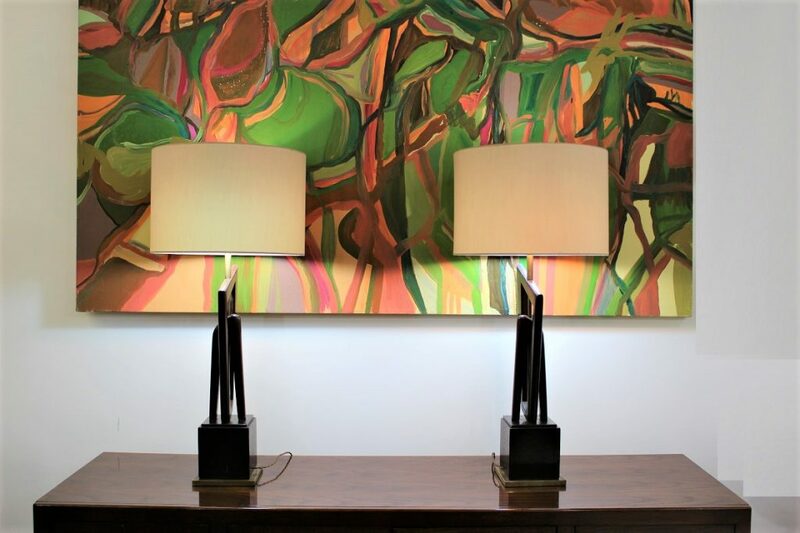 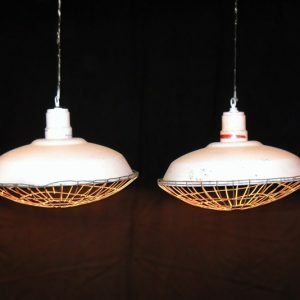 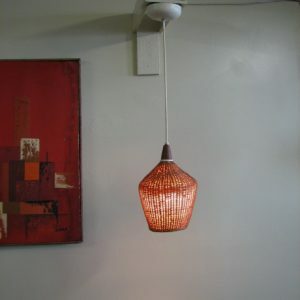 These lamps are the perfect addition to any home but I think would display better over a credenza or somewhere where you can see both at the same time. 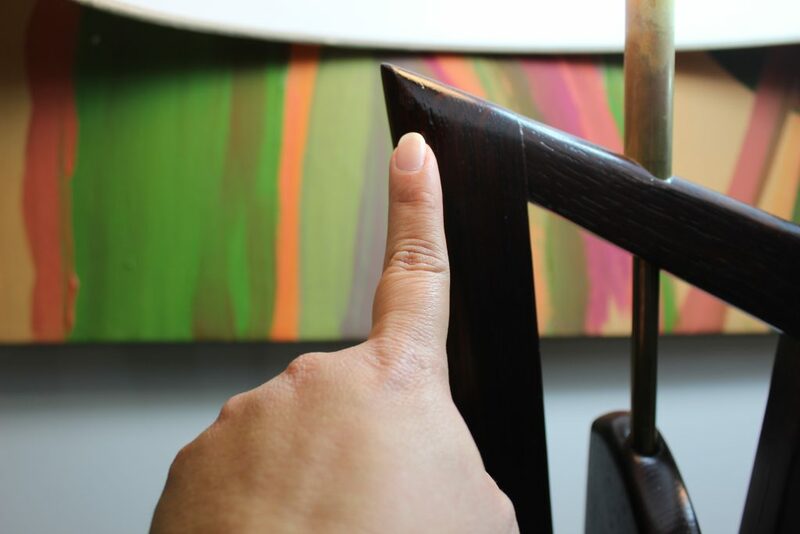 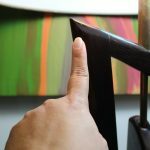 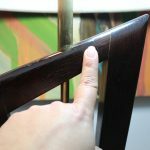 They measure 32″ tall by 7″ at the widest part of the wood. 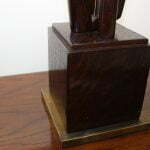 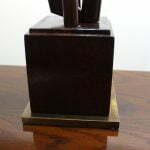 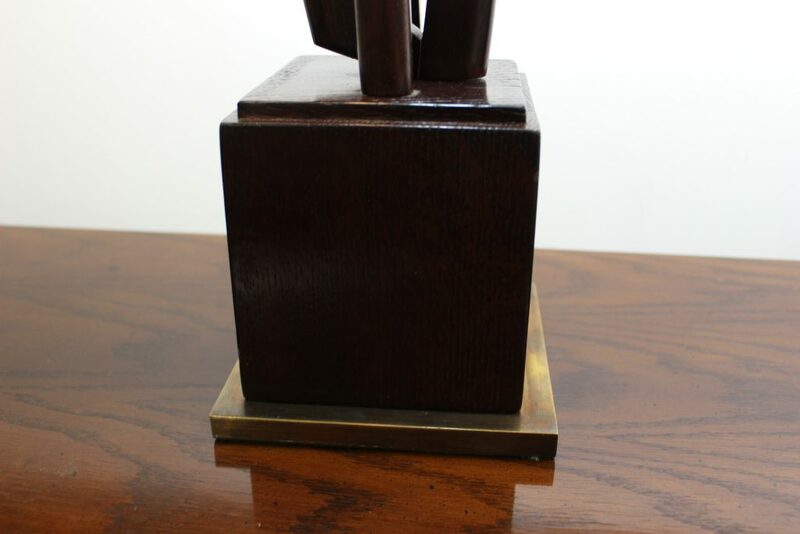 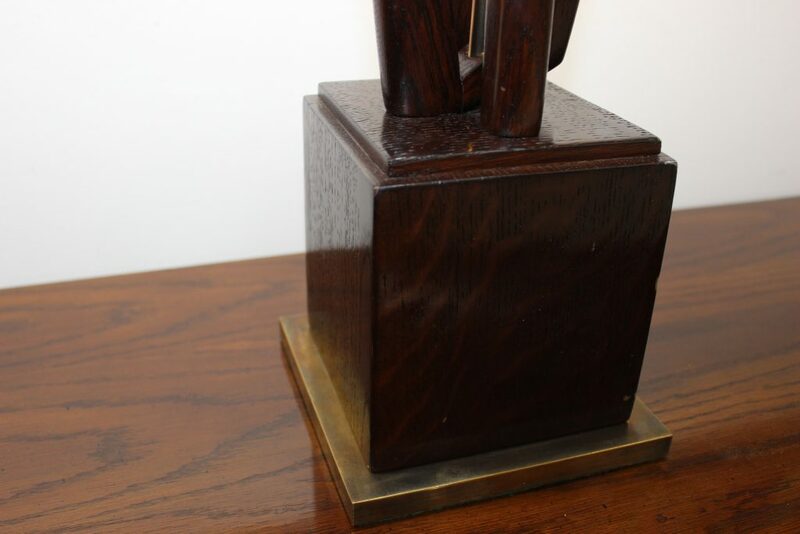 The bases are square measuring 6″ x 6″.